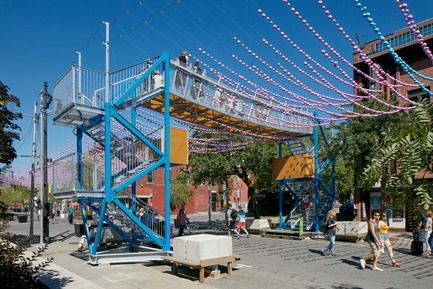 The result of a multidisciplinary collaboration between architects and engineers, FunambOule is a self-supporting footbridge spanning a pedestrian portion of Saint-Catherine Street, in Montreal, Quebec. 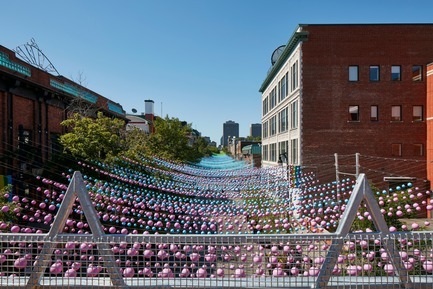 Designed by Architecturama and Latéral, the footbridge allows visitors a new vantage point where the famous multicoloured suspended balls by Claude Cormier et Associés are at eye level. 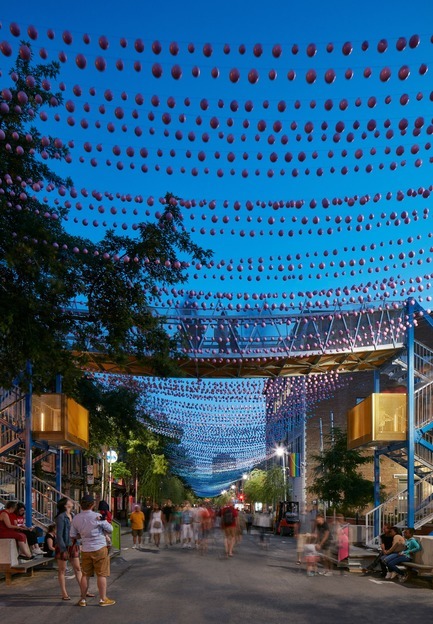 FunambOule was conceived as a self-standing span that can be disassembled and reassembled at a new location each year. 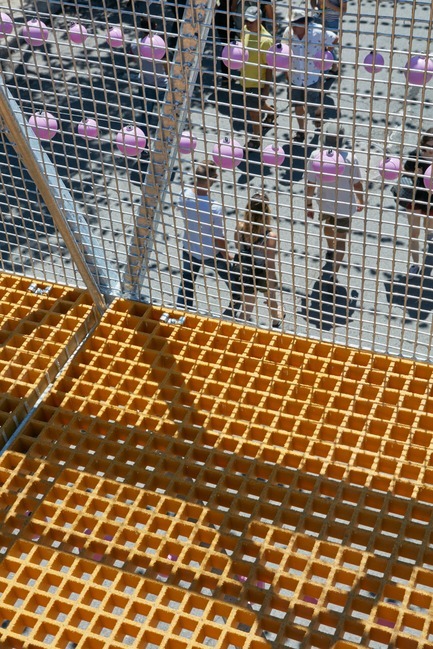 Being a creative architectural installation as well as having an inherently marked structural expression, FunambOule is the result of a strong collaboration between architects and engineers. 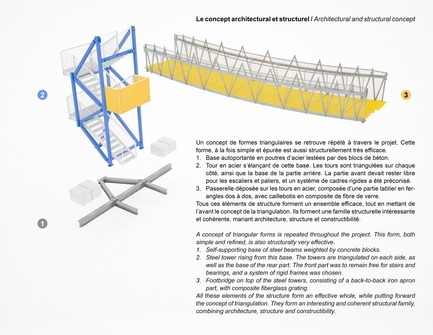 Architecturama and Latéral worked jointly to define and optimize the shape and architectural expression of the project, as well as the overall constructability. 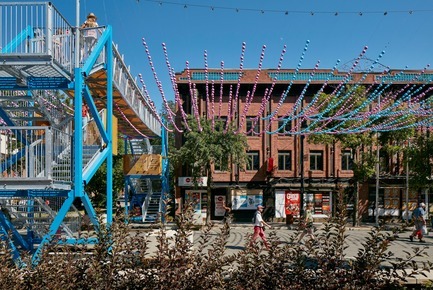 Curved and lightweight steel trusses are suspended from two independent towers. 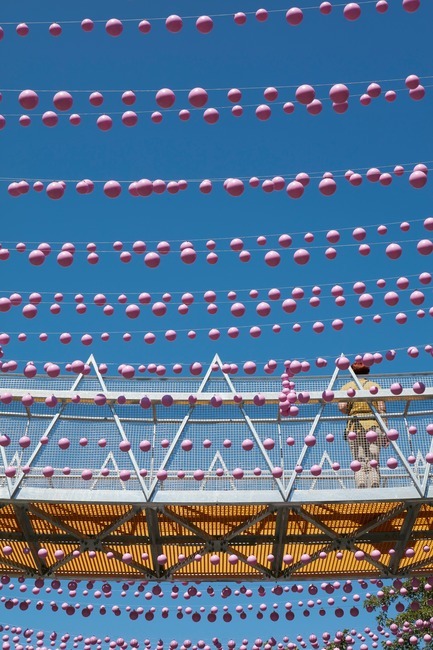 The curvature of the trusses is the same as that of the suspended balls. The steel members used were optimized for transport and ease of manipulation—the entire construction being assembled like a giant Mecano. • The entire structure needed to be self-supporting. Fixing into the road or sidewalk was not permitted. 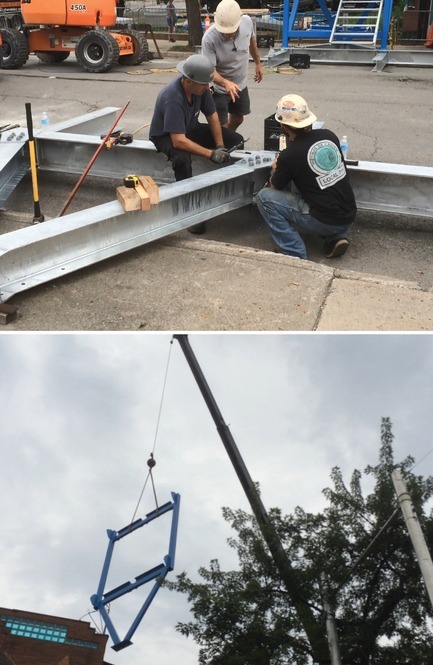 Counterweights had to be used to resist wind and earthquake conditions. 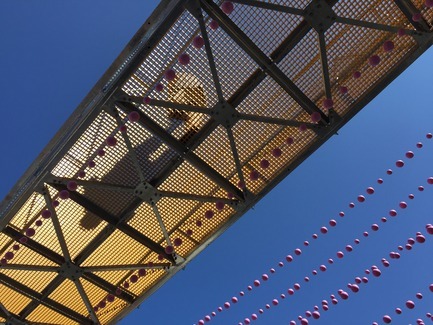 • The shape of the bridge deck need to follow the catenary shape of the suspended balls. Enough clearance for a firetruck was also required, as well as clear height and dimensional requirements for the stairs and landings. • FunambOule needed to be assembled and disassembled easily. The structure is stored during the winter. 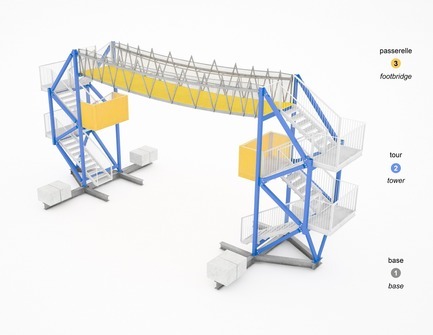 The footbridge was therefore designed as individual pieces with specific dimensional and weight restrictions. 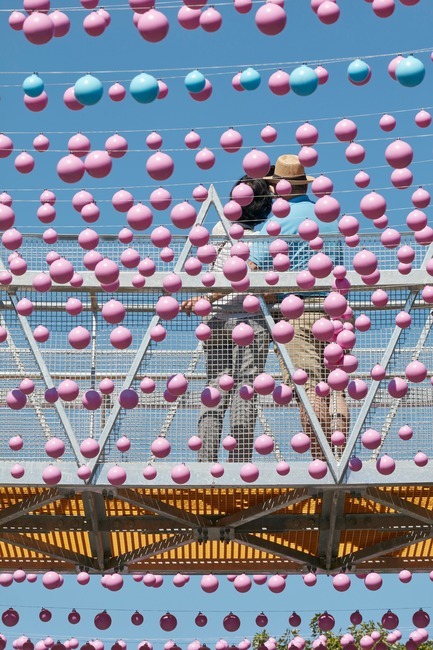 • Architectural expression: the goal was to create an interesting, impressive and playful installation, that fits in well with the ludic language of the multi-coloured balls. 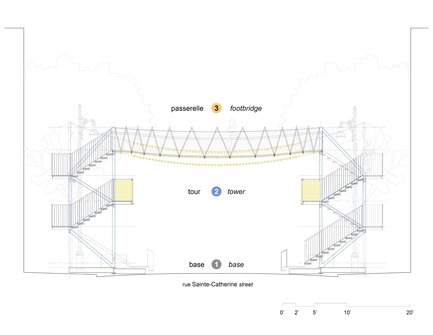 A repetition of triangular shapes formed the basis for the structural and architectural expression of the footbridge. 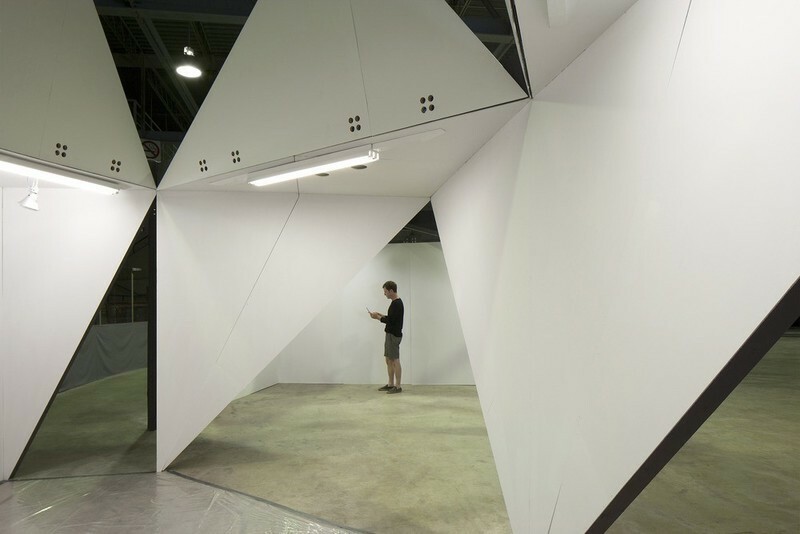 Triangulation is a simple and minimalist articulation while structurally effective. 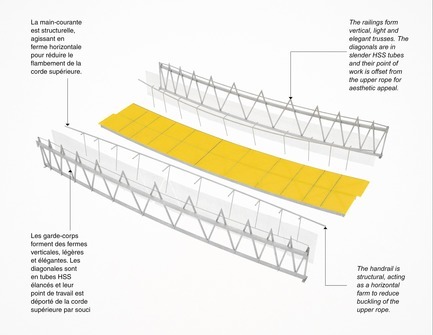 The diagonals and horizontals for the guard and handrail were designed as elegant thin tubular steel elements. For structural minimalism, the handrail acts as a horizontal truss. 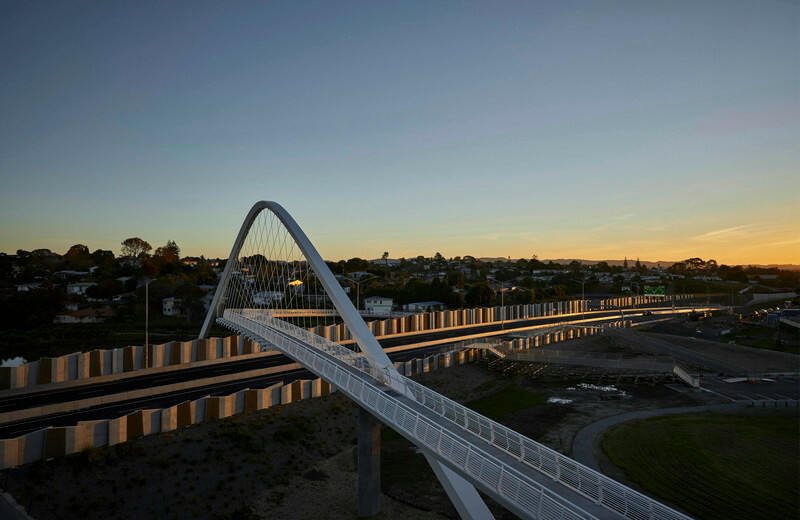 The steel elements that make-up the footbridge all act together as a coherent whole, combining architectural expression, structural efficiency and constructability. 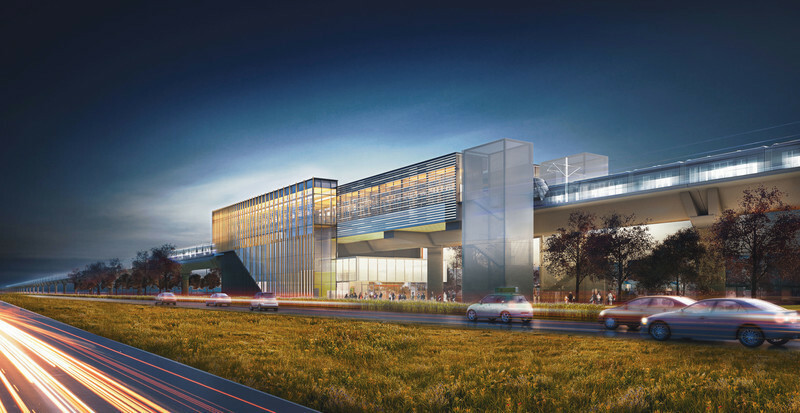 FunambOule is a finalist for the 2017 Awards for Excellence of the Canadian Institute for Steel Construction. Architecturama is an architectural firm. 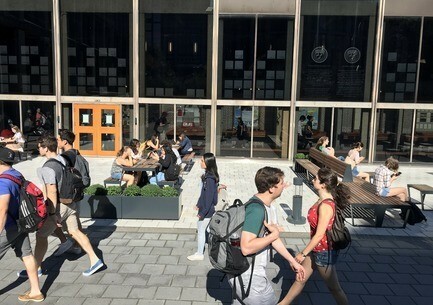 In their buildings, Architecturama is concerned with the way spaces are occupied and perceived, a concern that is not confined to visual perception, but to all senses, and takes into account phenomena influencing physical and psychological comfort. 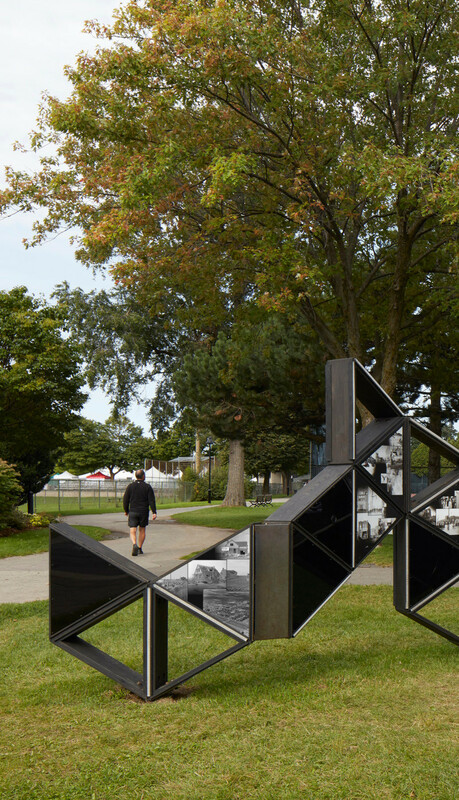 Through installations, they study concretely the architectural notions of perception, materiality, movement, memory, meaning, spatiality, etc. 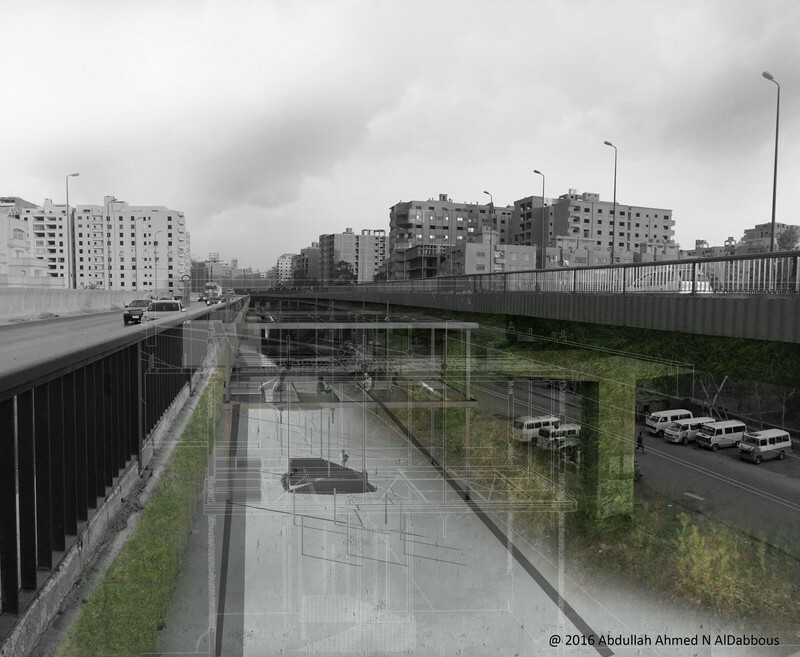 Their projects explore the affinities between art and architecture. 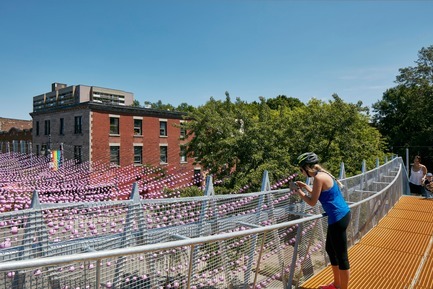 Architecturama develops an award-winning, award-winning practice and recently won an Award of Merit at the AZ Awards and two honourable mentions at the American Architecture Prize and was a finalist at the Prix d’Excellence of the Ordre des architectes du Québec. 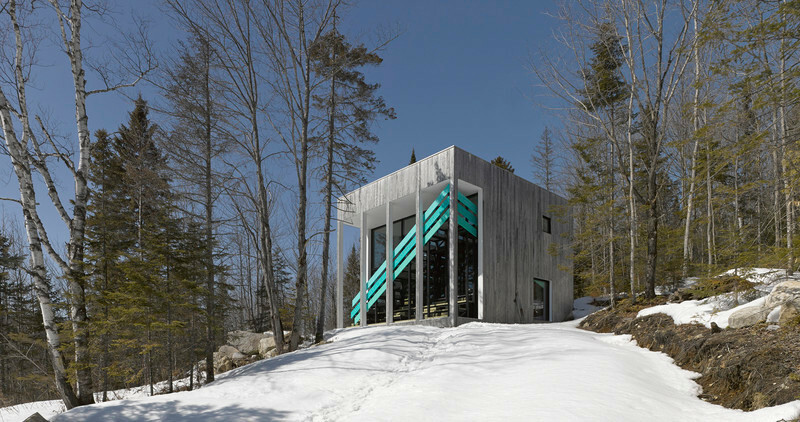 Two of their recent projects have won Best of Canada Design Competition awards. 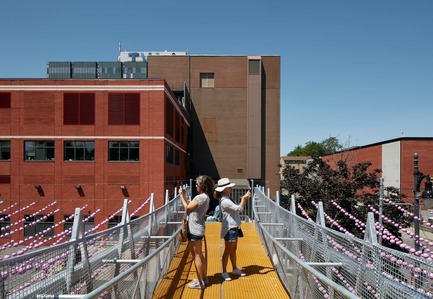 They were selected in 2014 for a research residency where they designed 5 temporary installations in situ in the south of France. Latéral is a boutique engineering firm specialized in structure, founded by the union of two engineers and an architectural technician. 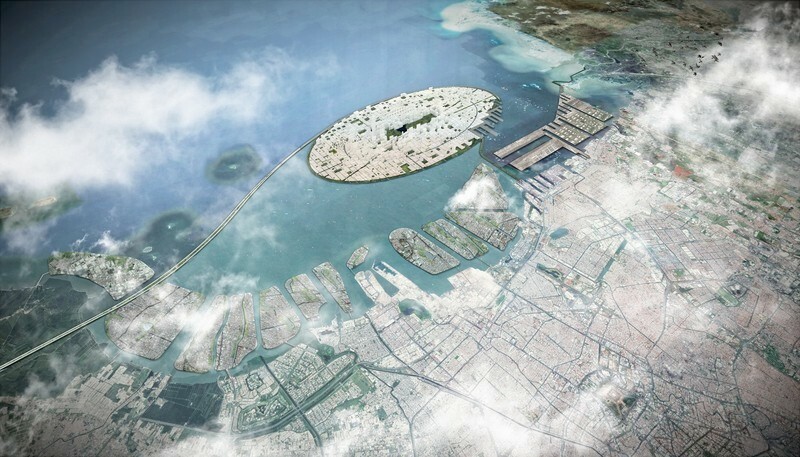 The partners’ experiences converge towards projects that are at the same time architectural, artistic and highly complex. 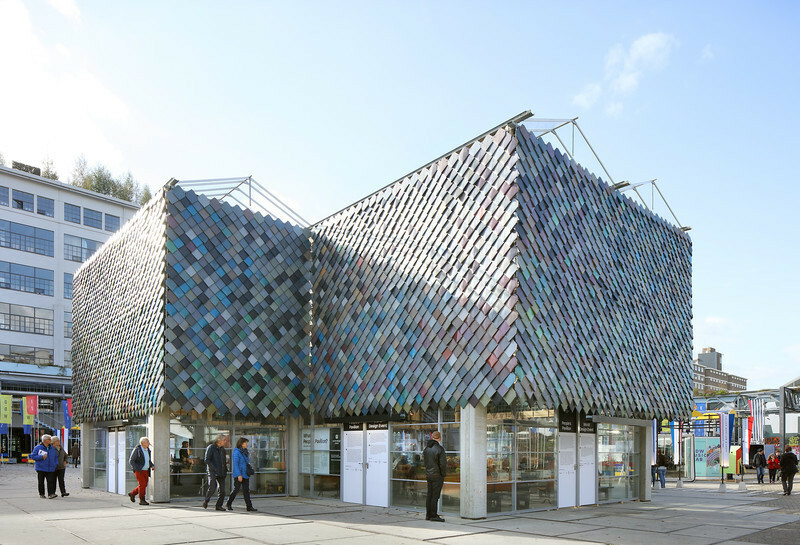 The office carries out wide-ranging projects, from temporary micro-installations, to large-scale buildings, as well as lightweight structures and structural glass. 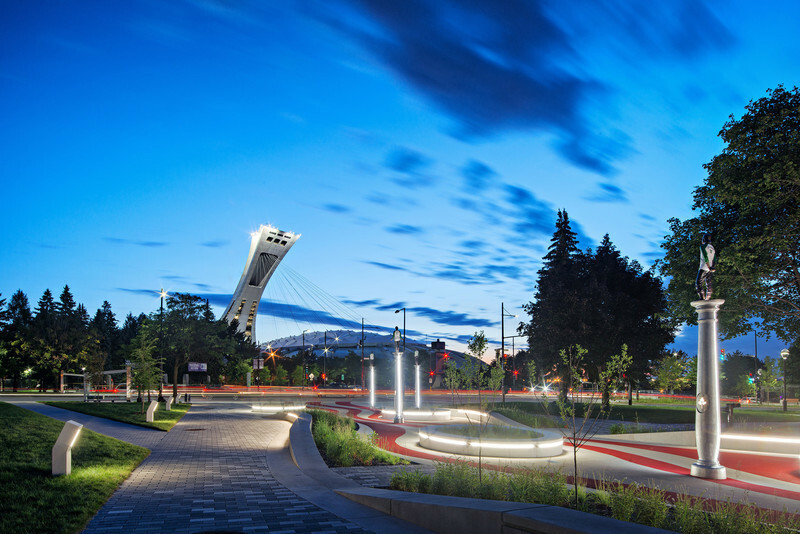 As one of the only offices in Canada devoted to complex architectural projects, Latéral is renowned for its openness, technical expertise and innovation. 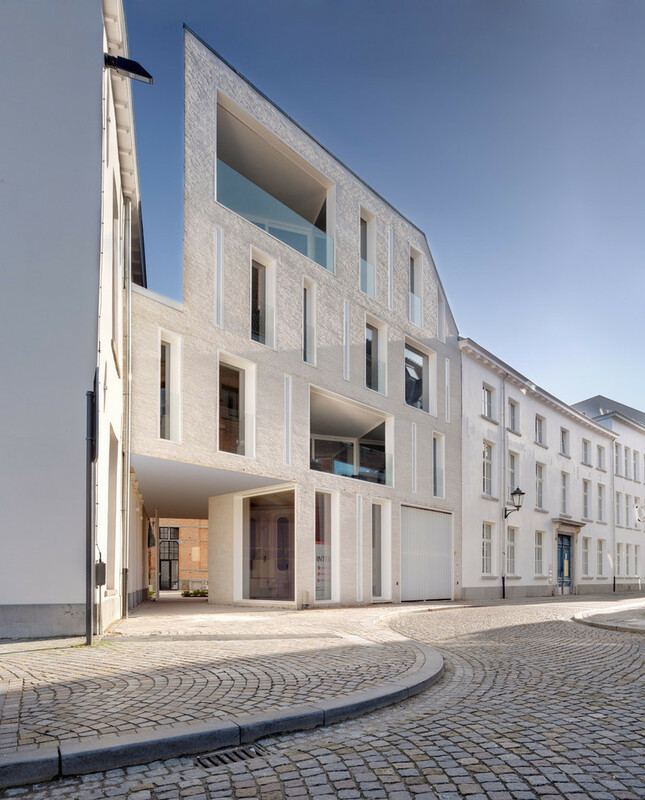 FunambOule was directed by Thibaut Lefort, an engineer with a background in architecture. The Commercial Development Corporation of the Village (SDC du Village) Mission is to develop the commercial and economic sectors of the area known as the “Village. To achieve its mission, The SDC du Village can notably encourage and support local initiatives, serve and represent its members, organize or endorse the development of promotional events, stimulate investments, or undertake any means it sees fit. In the end, the SDC du Village strives to reach a consensus with its community and to establish links with the drivers for change in the area it covers. 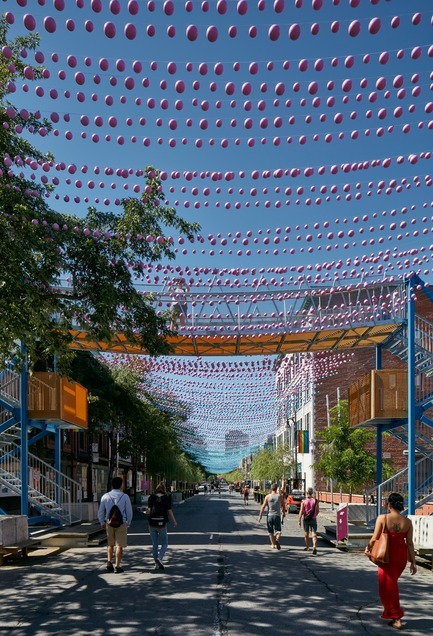 The Société de Développement Commercial du Village (SDC du Village) in collaboration with the Ville-Marie Borough presents the 10th edition of AIRES LIBRES cultural pedestrian street festivities held this summer until September 25, 2017. 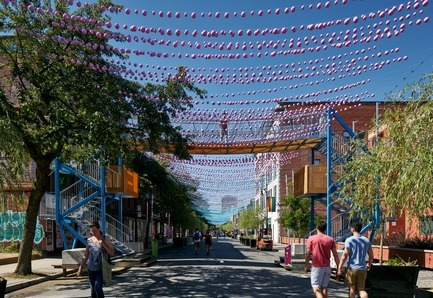 AIRES LIBRES initiated the ‘cultural pedestrian street’ festivities, the most significant and longest standing event in the Ville-Marie Borough. 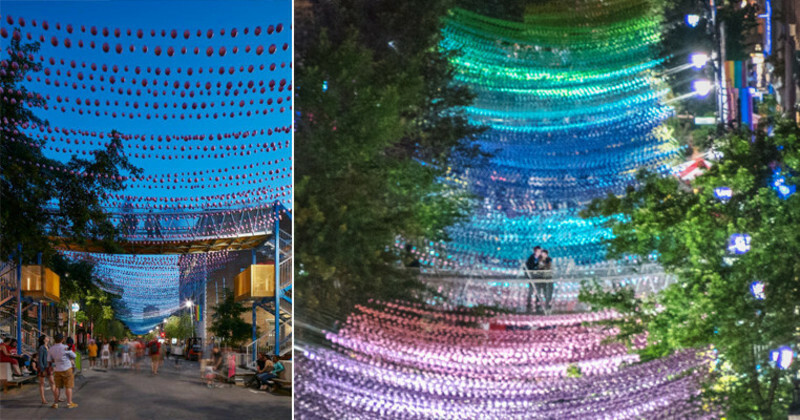 The 10th edition of AIRES LIBRES would not have been made possible without the financial support of Labatt Breweries of Canada, the Ville-Marie Borough, Montreal’s 375th anniversary celebrations, and, of course, the SDC du Village who has made AIRES LIBRES possible. 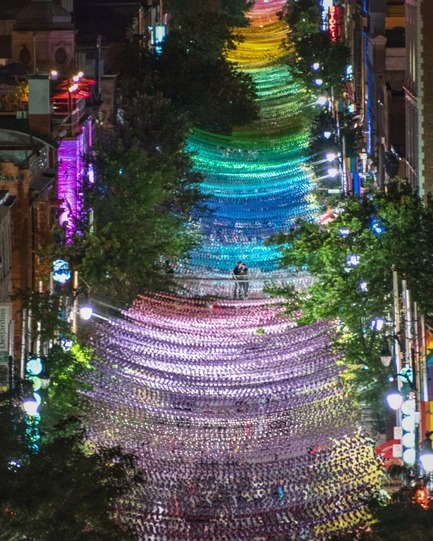 The Society for the Celebrations of Montréal’s 375th Anniversary is a non-profit organization whose mission is to organize the festivities and socioeconomic initiatives that will mark Montréal’s 375th birthday in 2017. 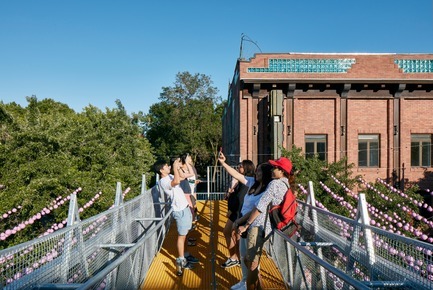 With a focus on promoting Montréal expertise, it acts as a catalyst for initiatives that come together to fulfill its mandate: to mobilize the community, implement a funding strategy, manage financial resources wisely, develop an exceptional program of events and promote the festivities. 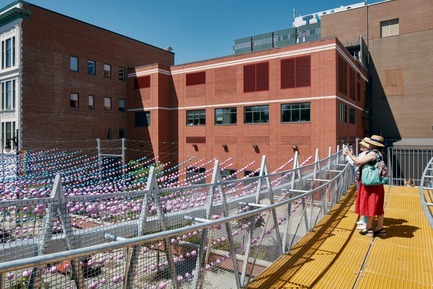 The Society receives financial support from the Ville de Montréal, the Canadian government and the Québec government, as well as private funding from twelve great Montrealers.